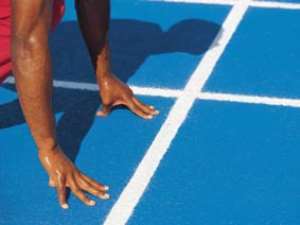 Winneba (C/R) Nov 24, GNA - Mr. George Osafo-Agyei, a member of the International Athletics Association (IAA) based in Winneba has called for the construction of a standard athletics oval and provision of modern facilities at the Winneba National Sports College to enhance the growth of sporting activities at the training centre. He said there is the urgent need for such a national training centre to have modern equipments and gadgets such as visual compact disc, video cameras and video recording tapes to record all sporting events for future reference and for the use of sportsmen and women. Mr. Osafo-Agyei made the call in an interview with the GNA Sports at Winneba on Tuesday the provision of such modern facilities would help improve the performance of the country's sports personalities. He said it is important that such a national institution is equipped with all the needed modern facilities to embrace all sectors of sports training programmes at the centre. Mr. Osafo Agyei said that since athletics is fast growing in the country, the time has come for the Ministry of Education, Youth and Sports to equip the various youth training and sports centres with the necessary modern facilities. He said that this would give the needed face-lift and attract the youth and encourage budding and potential athletes to show keen interest into the athletics and other sporting activities.